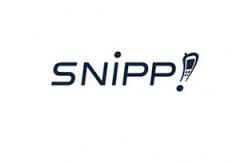 WASHINGTON, DC– SNIPF, SPN, (Marketwired – Jan 3, 2017) – Snipp Interactive Inc. (“Snipp” or the “Company”) (OTCQX:SNIPF)(TSX VENTURE:SPN), a global provider of digital marketing promotions, rebates and loyalty solutions, today announced that it has closed the year 2016 with record breaking sales for the month of December. The company closed approximately $1.5 million worth of deals in December 2016, its largest ever. The deals are across 23 programs and for 20 different clients including 16 repeat clients. The deals are for both promotions and loyalty programs on the Snipp platform, for brands across different industries ranging from CPG, to alcohol to healthcare. In addition, this marks Snipp’s foray into two new market segments – commercial transportation and auto components. Almost all these programs will leverage SnippCheck, Snipp’s market leading receipt validation technology as a key component in Snipp’s promotion and loyalty programs. While the figures mentioned above reflect the total revenues booked, please note that the projects are spread across multiple time periods and the associated revenues will be recognized as per Snipp’s revenue recognition policies. Snipp is headquartered in Washington, DC with offices across the United States, Canada, UK, Ireland, Europe, the Middle East and India. The company is publicly listed on the OTCQX, the highest tier of the OTC market in the United States of America, and on the Toronto Stock Venture Exchange (TSX) in Canada. Snipp was selected to the TSX Venture 50®, an annual ranking of the strongest performing companies on the TSX Venture Exchange, in 2015 and 2016. SNIPP IS RANKED #49 AMONGST THE FASTEST GROWING COMPANIES IN NORTH AMERICA ON DELOITTE’S 2016 TECHNOLOGY FAST 500™ LIST.